There is a growing need for compassionate, trustworthy in-home dental care within the senior community. As the “Boomer” generation ages, it’s becoming evident that the necessity for house call dentists is undeniable. 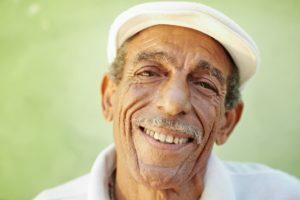 With about 20% of Americans over the age 65 having untreated cavities, as reported by The Centers for Disease Control and Prevention, it’s clear that something needs to be done as far as getting the aging generation proper oral care. They may need a house call dentist. And, finding the right house call dentist in Manhattan can be an intimidating task. Dr. Alisa Kauffman can help! When it comes to finding the perfect Manhattan house call dentist, there are many things to consider. Here are five must-have qualities that you need to look for. Trustworthiness– Trustworthiness is a huge factor when it comes to inviting someone into your space to care for your loved one. Without trust, it would be virtually impossible to be able to do the necessary treatments. Honesty and trust go a long way in calming even the most apprehensive of patients. Compassion – Dentists need to be able to be sensitive to patients who are in pain or are scared. Being compassionate will help calm and ease a patient’s fears. Genuine compassion can diffuse stressful situations. Communication – Communication is vital. Dentists need to be able to educate patients and their caregiver on their diagnosis, treatment, preventative care and maintenance. Being able to explain very technical details in a straightforward way is crucial for the overall health of the patient. Relational- A dentist needs to be a people person who knows how to calm and put people at ease. Being relational is a must when a dentist is constantly having to work with patients and their caregivers. Problem-Solving – Problem-solving skills are essential. Especially when working with special needs patients or those with dementia, Alzheimer’s, or other complex health issues. Sometimes a dentist needs to think outside the box in order to figure out the best approach to get their vulnerable patient to cooperate. Dr. Kauffman fits the bill as the perfect house call dentist for your aging loved one. With her passion for helping and her kindness towards her patients, it’s not hard to figure out why she was named one of the country’s top 25 dentists. Your search is over! You have found what you’re looking for in an NYC house call dentist with Dr. Kauffman. Give her a call today at 917-826-6278 to schedule an appointment.